From tents with full frames and sidewalls, to simple rope and pole canopies, we’ve got a wide variety of party tents available for rental. Our sidewalls come in various widths and lengths to accommodate virtually any frame tent installation. We know not every party is the same, which is why our event rentals are customizable to fit your needs. 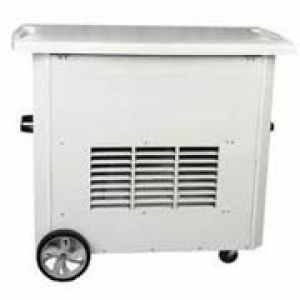 Your frame canopy can be fully enclosed or left partially open. Our sidewalls can also be used to attach two tents, creating one large structure. 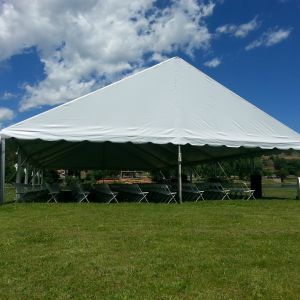 Our larger, sidewall party tents aren’t the only ones available for rental. 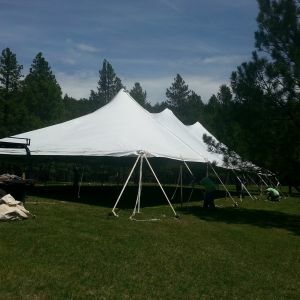 Our rope and pole style tents are available in two sizes that can easily be setup by the customer and are great for backyard parties or graduations, which makes your event rental process hassle free. We offer a 20' x 20' canopy that will provide 400 square feet of coverage, or a 20' x 30' canopy giving you 600 square feet of coverage. There are many additional accessories that can be added to any of our party tents for rental, including lighting options, decorations, heaters, dance floors, chairs and more. Our event rental shop is sure to have the right accessories for every event held under the tent. Call us at 605-348-2360 for rates! Don’t forget to cash in on savings by asking about our package deals today!